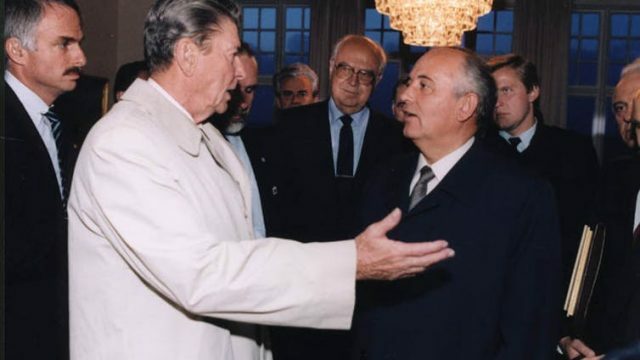 This morning, Mikhail Gorbachev criticised Donald Trump’s plan to scrap the existing US/Russia nuclear treaty. However, if things went differently in 1986, nuclear weapons would no longer exist. ﻿Despite it growing for some time, 2018 is the year when the toxicity of fandom bubbled to the top. Well, here we go. Rian Johnson will helm a brand new Star Wars trilogy and DC’s all-female arse-whoopery continues to generate hype. Game on! Gird your loins, Disney is playing for keeps in 2019, focusing on sequels to much-loved franchises. Do you want to make a cash cow? The latest from the Star Wars universe and James Gunn’s latest scandal are unpacked in the latest episode of the Nerd Reserve podcast. Enabled by their headlines to remake the The Last Jedi, the toxic fandom of Star Wars is becoming more powerful that we could ever imagine. Friday. Huzzah. Overnight, Australia didn’t win, but we found victory, Melania Trump wore words and a bunch of angry dorks wants to remake Star Wars. Ok.
Ugh. Morning. Halp. Overnight, many Americans fled America, Kim Kardashian had White House success and some dorks on Twitter argued about Star Wars. Fun fun. After The Last Jedi’s Kelly Marie Tran quit Instagram due to fan backlash, I say it’s time we address something that we’ve let run for too long. Thanks to a new generation of movie characters, their toy counterparts are being marketed in their own space, instead of the boy/girl aisles of old. Is it a good move? Morning! Overnight, one retired teacher wanted to see the White House after class, the police are investigating the internet’s treatment of Lorius Karius and ‘Solo’ debuts poorly. Solo: We asked for it, but do we really want it? Solo is naked fan service. But with it now a reality, are we ready for this to be our Star Wars experience? The force is strong with a group of science types, as they believe the lightsaber is actually possible. Yes, please. EA are the kings of a certain type of gaming experience, as they look to wring every possible cent from their games. The step away from single player attests to this fact. If you want to enjoy the latest Star Wars, the math is simple. Go in fresh, sans all spoilers and influence from the fan base. The vociferous complaint aimed at the latest Star Wars trailer has prompted me to write this. No-one cares about your criticism, just shut up and enjoy it. It’s a small galaxy after all: Is Disney ruining Star Wars? Might seem an obvious point to make, but I believe Disney taking over the Star Wars universe has doomed it. Why always you, Monday? Anyway, Mike Pence overreacted, a teen was attacked by Cthulhu and the world of sci-fi disrespected Princess Leia’s doctorate. Merry Christmas to you and yours. For those looking for a dash of reality on the grandest day of all, here’s what happened in the week that was.